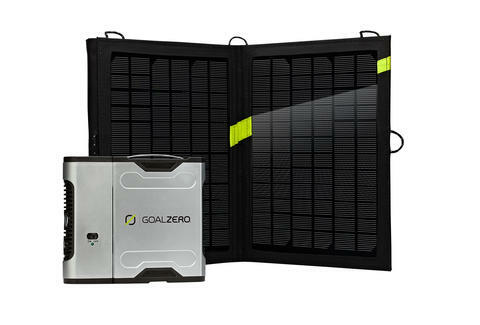 Designed with an eye toward emergency preparedness, Goal Zero's new Nomad 13 personal solar charging panel will keep your electronics juiced up using only the fury of the sun. 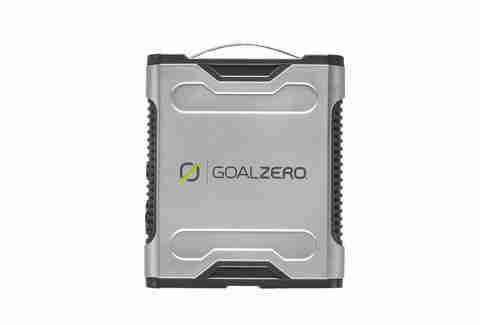 Get the 13-watt panel by itself or store the power you generate with the optional Sherpa 50 Recharger, which will keep your tablet going for up to 15 hours and your laptop powered for up to three even after the sun dies. Just plug your cell phone, iPod, tablet, or GPS into the panel’s USB or 12-volt hookups, or attach pretty much anything to the Recharger’s bolt-on AC inverter. Then aim the panel at the sun or wear it as you walk for a continuous charge as long as the sun shines. The basic kit comes with two solar panels and a durable carrying case that folds discretely for visits to your grandma in coal country. She'll be able to breathe easy knowing that, in the event of a zombie apocalypse, the family will still be able to watch cat videos.